Do you want more Tarot reading clients coming through your virtual door? Want to get yourself out there and known for the amazing work you do? Don’t just sit there – market yourself! No more excuses or procrastinating about how on earth you’ll do it. I’ve come up with 78 ways to market your Tarot business, both in the online and offline worlds. 1. Build a Tarot reading website. Use WordPress and do it in less than 4 minutes. 2. Set up a Facebook page and use it to share great Tarot articles, insights, tips, card-of-the-day and to build a community of like-minded people. 3. Set up a Twitter page and share daily short-and-sharp 1-card readings. 4. Start a blog that matters and share your insights into the Tarot. 5. Answer questions on Tarot forums such as the Aeclectic forum and build a solid reputation as someone who has a genuine desire to help. 6. Set up a Google+ page and share your Tarot updates and blog posts. 7. Link your Tarot blog content to your Google+ page using rel=”author” (find out how). 8. 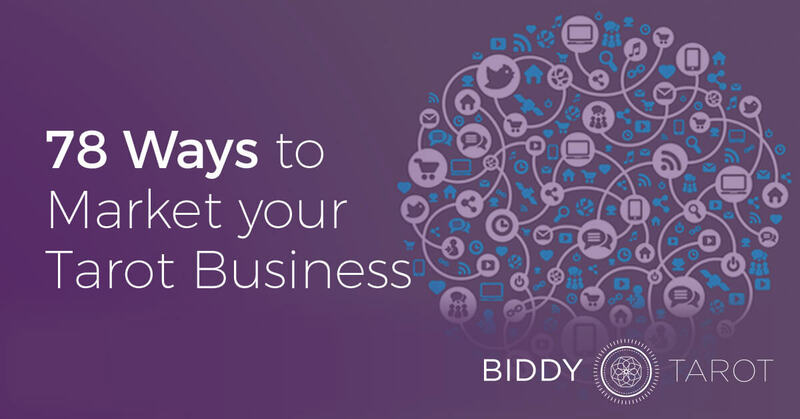 Optimise your website for search engine traffic (find out how). 8. Create an e-newsletter with Tarot tips or communal Tarot readings (e.g. card of the week). 10. Set up an affiliate program so that others can refer clients to you and receive a commission for doing so. 11. Build relationships with people in complementary industries (e.g. numerology, astrology, life coaching, etc.) and ask for a referral. 12. Create a professional-looking email signature and advertise your services in it. 13. Create an online quiz that builds interest and curiosity in the Tarot (e.g. what Tarot card are you?). Make sure you include a link to your website. 14. Write an eBook on Tarot to showcase your knowledge. 15. Start your own Tarot radio show and bring on guests and offer free mini Tarot readings. 16. Get listed on a group buy website like Groupon or Living Social. 17. Encourage social sharing on your website with Sharebar. 18. Share sample Tarot readings on your website along with the customer’s feedback. Of course, make sure you get permission to share the reading before you post it. 19. Offer a free Tarot reading to a popular blogger (in any field) and if they love it, ask for them to write about it on their blog or website. 20. 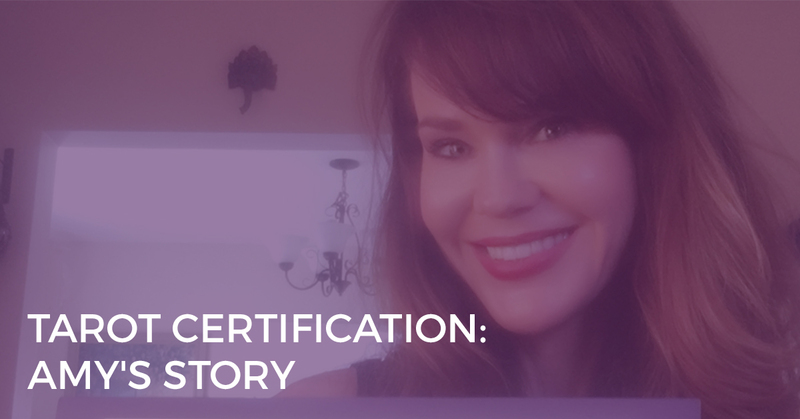 Conduct a case study or interview with a previous customer and show how they transformed their lives with the help of your Tarot reading. 21. Shoot a memorable video about your Tarot reading skills and post it to Youtube. 22. Create Tarot reading specials for different times of the year. Offer a Love Tarot Reading special for Valentine’s Day or a New Year special for the start of the year. 23. Run a competition to win a free Tarot reading with you and cross-promote on other websites. 24. Have a clear ‘call to action’ on your Tarot readings/Services page, e.g. “Buy Now” or “Book Reading”. 25. Add a ‘bonus’ to your Tarot reading, e.g. a brief numerology or astrology report. 26. Become a guest on a Tarot radio show program. 28. Write a guest post for another Tarot (or similar) blog and be sure to include your links in the profile. 29. 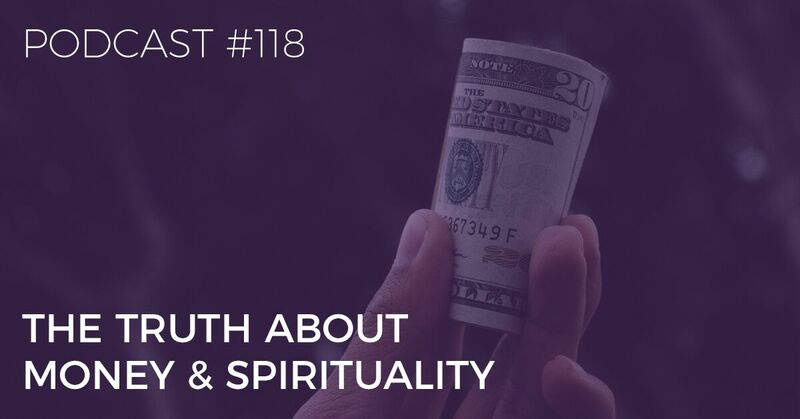 Run a free webinar or teleseminar on Tarot and share your knowledge and your services. 30. Offer Tarot reading gift vouchers. 31. Advertise on your own website. Sounds obvious, but make sure you have a banner that links to your paid services pages. 32. Consider setting up Google Adwords and paid advertising. It’s not always effective, so make sure you get informed on how to get the most ROI out of Adwords. 33. Create an email autoresponder series such as the 10 Most Insightful Tarot Spreads, and include links to your Tarot business. 34. Leave insightful comments on other people’s blogs and contribute to the conversations. 35. Register your business with Google Local. 36. Create a loyalty program where your customers receive points that can be used on free Tarot readings. 37. Offer your current customers a referral bonus, e.g. refer a friend and get 50% off your next Tarot reading. 38. Reconnect with your clients 3-4 months after their Tarot reading to check in that everything is going OK.
39. Mail (yuh, snail mail) your loyal customers a personal thank-you note and 5 postcards with a “Refer a Friend” special. 40. Collect the birth dates of your customers and offer a special discount for a Birthday Tarot reading. 41. Craft an attention-grabbing tagline for your Tarot business. 42. Tell your personal story on your About page and get clear on what style of Tarot reading you offer. 44. Design a stand-out logo for your Tarot business. 45. Get clear on what your customers truly value in your Tarot readings and use this to form your marketing communications. 46. Talk in terms of benefits rather than features, e.g. “accurate and insightful Tarot readings” rather than “email Tarot readings”. 47. Find your unique ‘voice’ and ‘image’. For example, Dan Donche is the edgy, bold and “inappropriate Tarot reader“. What are you going to be known for? 48. Create an eye-catching business card. Sure, you can get freebies from Vistaprint, or engage a designer to make you something really special. 49. Include customer testimonials on all of your marketing materials. 50. 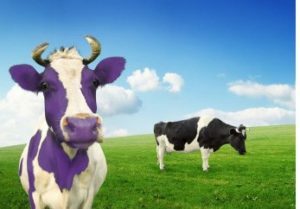 Be the Purple Cow. Find a way to stand out from the crowd and be different. 51. Offer a guarantee that if your customers are not 100% satisfied with their Tarot reading, they can get their money back. Trust me, it is rarely used. 52. Create Tarot card postcards with your details printed on the back and drop them in random, unexpected places – on the street, at a bus stop, along the beach, at the local park. People will be intrigued when they pick up a Tarot card and may be compelled to get in touch with you to find out what it all means. 53. Prepare your ‘elevator pitch’ (a 30 second spiel about your Tarot business and why your customers rave about you) and be ready to share it with everyone you meet. 54. Post a flyer for your Tarot business at the local shops, especially new age shops. 55. Carry your business cards with you always, and be ready to hand them out as you eagerly tell others what you do for a living. 56. Offer 10 minute Tarot readings for $10 at your local library, café or hairdresser, and hand out your business cards for more in-depth readings. 57. Write a regular article in a new age / spiritual magazine and include your contact details in your profile. Tell your well-networked hairdresser all about your business and ask her to recommend you to her clients. 58. Join local small business groups with people from diverse backgrounds, and attend regular networking events. 59. Take out an ad in your local newspaper, but make sure you’re attracting the intended market. 60. Join your local Tarot association. 61. Create a local meet-up group around Tarot. 62. Create a unique story about you as a Tarot reader (e.g. professional management consultant turned professional Tarot consultant) and pitch the story to your local newspaper for coverage. Larger newspapers often get their story ideas from the local papers. 63. 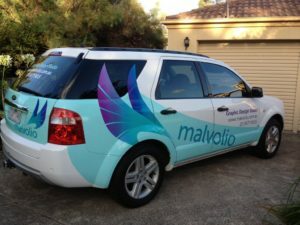 Brand your car with your Tarot business contact details and logo. 64. Join associations in complementary fields where you have an interest – e.g. astrologists, Pagans, Wiccans, psychics, etc. Build relationships and encourage two-way referrals. 65. Ask your local newspaper or magazine if you can write a regular column with Tarotscopes (Tarot cards for each sign of the zodiac). 66. Ask to present at your local Tarot association’s next meet-up. 67. Partner with people in complementary industries and offer combined packages. For example, why not join forces with a beauty therapist and offer Tarot readings + Pampering parties? 68. Put up a huge advertising banner in your front window of your house or office. 69. Join your local Chamber of Commerce. 70. Give back to the community by offering free Tarot readings at the next charity event. 71. Post an ad on a free list such as Craigslist or Gumtree (Australia). 72. Set up a stall at the next New Age fair/market such as the Mind Body Spirit festival in Australia. 73. Create a special Tarot reading event for your local mother’s groups. Set up your table at the play centre and read for each mum as their baby plays with the other babies and mums. 74. Sponsor a charity event by offering a gift voucher for a Tarot reading. 75. Offer to give mini Tarot readings at sales events at like-minded shops. 76. Ask your friends and family to promote your Tarot business. 77. Carry your Tarot cards with you all the time – you never know when someone might need a Tarot reading and are prepared to pay for it. 78. Design a few t-shirts that advertise your Tarot business in a quirky way and wear them whenever you go out in populated areas or even to your next Tarot conference. OK, what are you waiting for? Get cracking! Which 5 marketing strategies are you going to put in place this week or this month to bring more customers to your Tarot business? Have you got any other awesome marketing strategies that have worked for your business? Share them in the comments section. P.S. Struggling with how to Market Yourself Authentically? Marketing your Tarot business is one of those tricky things. You don’t want to come across as the annoying Tarot reader who won’t stop bugging people to buy her Tarot readings. But you also don’t want to be completely unknown in the marketplace. So how do you find the sweet spot in the middle? Well, that’s where I come in. 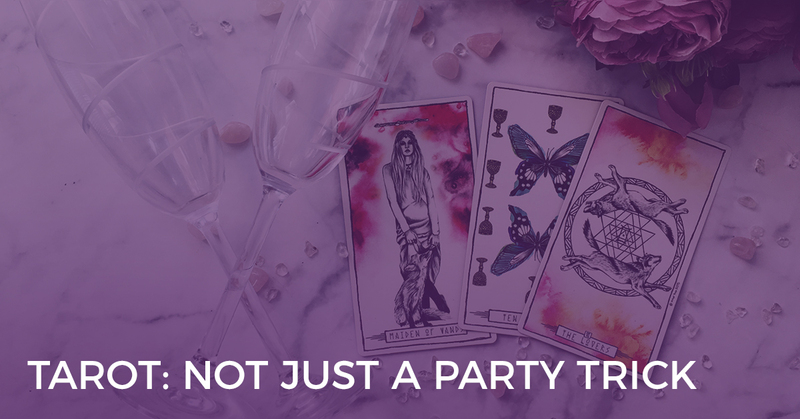 I’ve helped many Tarot professionals build loyal and engaged communities and connect with existing and potential clients using authentic marketing strategies. And I can help you do the same. I won’t lump you with ‘cookie-cutter’ strategies that can be taken from any online marketing book. In our business coaching sessions, I’ll work directly with you to create marketing strategies that are unique to your business and your clients. And I’ll show you how marketing can be fun, engaging and most importantly, authentic. No sleazy strategies. Just heart-centered ways to connect with the people who will value your products and services the most. >> Click here to apply for a complimentary Discovery Session with me today.